Genuine sea salt from the ancient Celtic Sea salt marshes of Guérande in Brittany, France. This sea salt is hand harvested using traditional Celtic methods. Naturally dried by the wind and the sun this gives rise to a light grey salt which is moist to touch. In this moist salt the 80 essential macro and trace minerals from the sea water are retained. Stone ground. Foods cooked with natural salt taste better and you will be supplying your body with necessary minerals and trace elements. Brittany Sea Salt obtains their salt exclusively in Guérande France, in the region of Brittany. They work with small, independent salt gatherers producing an artisanal product which is not mass produced. These millennial salt fields are registered as a National Treasure in France. 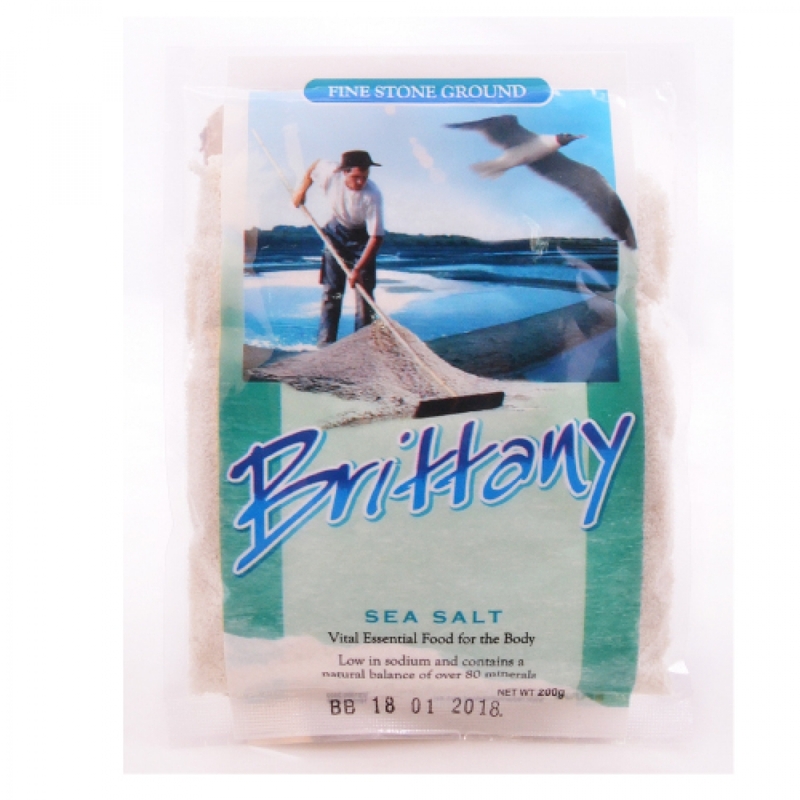 Brittany Sea Salt provides authentic and unprocessed whole salt as a healthy and flavorful alternative to refined salt. Brittany Sea Salt is never touched by metal; only wooden implements are used.